After the league phase of iB Cricket Super Over League all the focus now shifts on to the playoffs where cricketers would try hard to take home the prized title of the first-ever VR Cricket League. 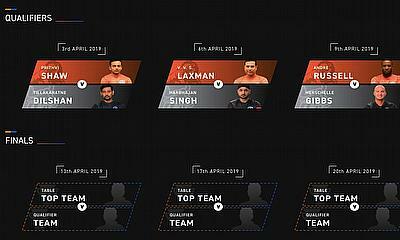 iB Cricket Super Over League is the world’s first VR cricket tournament where 12 international cricketers like Virender Sehwag, Harbhajan Singh, Suresh Raina, VVS Laxman, Brendon McCullum, Andre Russell, Herschelle Gibbs, Christopher Lynn, Mohammad Kaif, Tillakaratne Dilshan and young champions Shubman Gill & Prithvi Shaw are competing for the coveted trophy. The very exciting playoffs kicked off on 3rd April. Yellow Strikers directly secured their place in the final while Orange Chargers and Black Thunders are now competing to book a berth in the finals. Blue Blasters, led by Virender Sehwag have been eliminated. The qualifiers began on Wednesday with Prithvi Shaw of Orange Chargers and Tillakaratne Dilshan of Black Thunders facing-off each other. 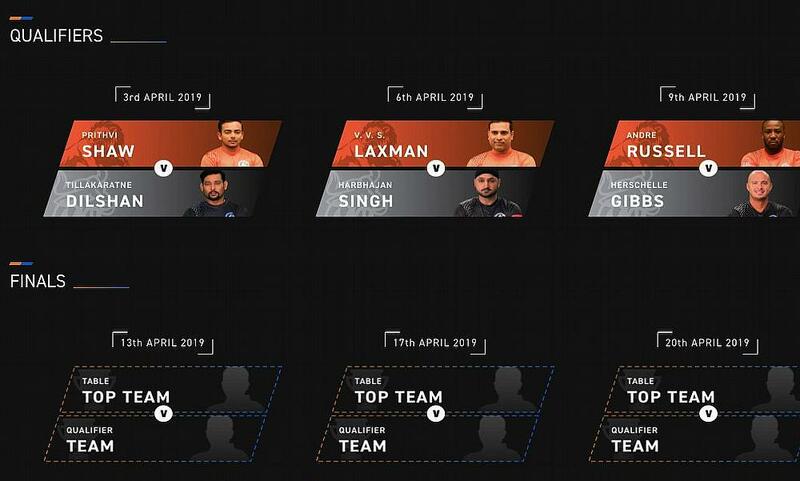 The second match airs on Saturday when two great friends, Orange Chargers’ VVS Laxman, and Black Thunders’ Harbhajan Singh take on each other. The playoffs wrap up with the Black Thunders’ Herschelle Gibbs going head-to-head with the big man from West Indies, Andre Russell of Orange Chargers. The response to the world’s first VR cricket league has been massive as the matches were viewed by more than 5 million viewers so far. Prithvi’s six, Russell’s swag moves, Sehwag’s witty commentary, and Gibbs & Bhajji’s bhangra were some of the highlights of the league phase. The fans of the players are excited to watch their favourite players competing in iB Cricket. As the league is reaching its final stage, more suspenseful matches and epic finishes are awaiting us. Stay tuned to iB Cricket and Viu to find out who will be the champion of the first-ever VR cricket league.